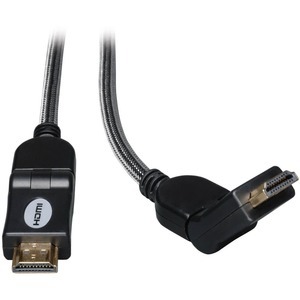 Tripp Lite's swivel HDMI cables make it easier to install audio and video components against walls, these HDMI cables come with rotating connectors that are able to swing the cable plug up to 90 degrees, left or right, creating just the right angle between the connector and the cable so that you will need just half the mounting space. 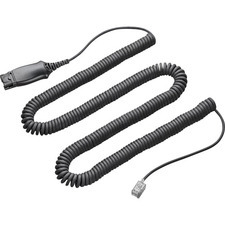 This keeps the HDMI cable from being pinched in tight quarters, which could degrade signal performance. 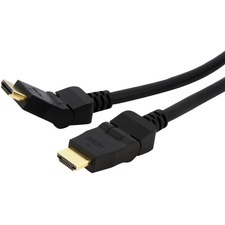 These cables are HDMI v1.3c compliant... perfect for Blu-ray, PlayStation 3, Microsoft Xbox, and other HD formats. Rugged, nylon mesh protects the cable jacket from abrasions, nicks, etc.